The recently unsealed deposition of an associate of the late Sen. John McCain really would be a tale of high comedy if its implications weren’t so serious. The Spygate plotters inside the government agencies and the DNC Media Complex were in such a hurry to cover their tracks and launch attacks on the incoming Trump administration that they made several crucial mistakes. Page 48 of the deposition is where Kramer is asked about what media contacts he had, once he had passed Christopher Steele’s dossier to McCain. Kramer had received the dossier from Fusion GPS co-founder Glenn Simpson at the firm’s office on Nov. 29, 2016, and McCain gave then-FBI Director James Comey the dossier on Dec. 9, 2016. So there was a 10-day gap between Kramer receiving the dossier from Fusion GPS and McCain passing it on to the FBI. When discussing his contact with reporters about the dossier, Kramer reveals that he was contacted directly by a number of reporters. When these media people suddenly start reaching out to him out of the blue, Kramer testifies that he was completely mystified as to how they knew all about his role in this matter. Q: Up until, let’s say, December 10th when you understood that The Senator had gone to Director Comey, had you yourself had any communications with media outlets about The Memos? A: December 10th? I couldn’t tell you exact dates, but I was contacted by Mother Jones, and the Guardian, and ABC News. And then the Washington Post, there was a reporter whom I had known, who we had been talking to throughout The Campaign before I knew the existence of this, and became clear to me that he was aware of the document as well. I’m trying to think if there were any others. I was not in touch with New York Times. And I was in touch with McClatchy. And also up until December 10th I think those were the ones. But most of the ones I mentioned contacted me. How they knew my role, I don’t know. But I did not reach out to them. But they were aware that I had given it to Senator McCain. It becomes obvious that either Simpson or Steele or both had given Kramer’s name and number to numerous reporters immediately after Kramer had received two different versions of Steele’s dossier. And another interesting detail: Kramer revealed that even before Dec. 9, at least one member of the news media, ABC News producer Matt Mosk, with whom Kramer had had no previous contact whatsoever, was calling him up and asking about the dossier’s status. Q: With whom did you speak at ABC News? A: With Matt Mosk, who is a producer there. Q: And am I correct that he contacted you? A: Correct. I did not know him before. I had [also] never spoken to Korn or to Borger before any of this. Q: And what did Mr. Mosk ask you? A: M-O-S-K. I don’t think there’s an E at the end. I think [it’s spelled] M-O-S-K. He must have contacted me before Senator McCain gave it [the dossier] to Comey, because he initially asked me about the status with Senator McCain. Kramer makes it clear that from the questions he was getting from the reporters, it sounded like they already knew what was in the dossier. Well, of course, all these reporters and media people did know. Steele and Simpson had been sharing the dossier with various media outlets for months, long before Kramer was ever brought in and given his own copies of it. Some of these reporters had already been writing articles based on allegations in the dossier, such as David Corn of Mother Jones, before the election. Kramer was actually a latecomer to all of this. This led to the spectacle of Kramer haranguing the reporters he was giving copies of the dossier to—journalists who’d already been talking to Steele and Simpson for months about the allegations in it—making sure they didn’t publish the dossier itself, but only wrote vague accusations based on it, something many of the reporters had already been doing well before the election! You know who also knew what the Steele dossier said even before McCain showed up at the FBI building to personally hand him a copy of it? Comey! The whole point of the subterfuge in enlisting Kramer and McCain was to manufacture a path for both the DOJ/FBI and the DNC Media Complex to get the Steele dossier without it having Fusion GPS’s or Hillary Clinton’s fingerprints all over it. Remember that the FBI had been forced to cut ties with Steele, Simpson and Fusion GPS before the election; the FBI had cut ties with Steele after the former spy had shared ‘intelligence reports’ with media outlets. After months of illegal spying and lying to the FISA court to generate warrants, the Spygate plotters needed cover following the election. A ‘cover story’ had to be put in place. 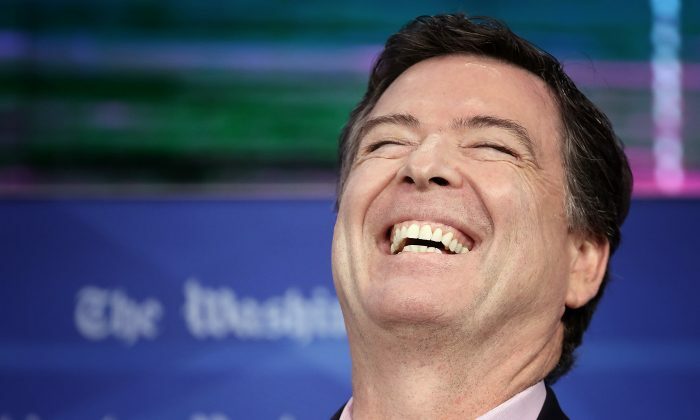 The plotters needed to ‘pretend’ they didn’t have any of this dossier info at the FBI ‘before’ the election, they certainly weren’t running any counterintelligence investigations based on that dossier, and that the dossier only came to the FBI much later through McCain, when his associate Kramer was alerted to intelligence collected by our foreign allies that Trump was compromised by Vladimir Putin. That’s where George Papadopoulos proved useful. The cover story would be that Crossfire Hurricane, the FBI’s counterintelligence investigation of the Trump campaign, was initiated in July 2016 because of Papadopoulos’s bragging to Downer, not from a dossier coming straight from Fusion GPS and Clinton. And for this reason, the cover story also had to claim that the FISA warrant granted to spy on former Trump campaign foreign-policy adviser Carter Page was based on the Papadopoulos information and not on the Steele dossier. Do you see how these morons have locked themselves into a narrative they simply can’t change at this point? If that warrant is made public and it says almost nothing about Papadopoulos, but it’s instead based entirely on the Steele dossier and several news stories for which Steele and Simpson are known to be the sources, a whole lot of people are going to face some very serious questions. Do you know how many people have seen that original unredacted Carter Page FISA warrant at this point? A list of the names would likely include several dozen people. It would include DOJ Inspector General investigators, prosecutors working under Utah U.S. Attorney John Huber, members of Congress such as Rep. Devin Nunes (R-Calif.), Rep. Mark Meadows (R-N.C.), Sen. Chuck Grassley (R-Iowa), Sen. Lindsey Graham (R-S.C.), as well as former Attorney General Jeff Sessions, former acting Attorney General Matthew Whitaker, and by now, the current Attorney General, William Barr. And, oh yes, let’s not forget President Donald Trump, who was thoroughly briefed on the FISA documents when he was conducting his declassification review. And a final reminder: that first FISA warrant allowing the FBI to begin legally spying on Page was issued in … October 2016. Which is—if I’m reading this calendar right—more than a month before Dec. 9, 2016. So, what if it turns out that the FBI was already getting a FISA warrant to spy on a U.S. citizen by making use of the Steele dossier more than a month before it’s being claimed it was brought to them by McCain? These people are so very, very stupid. They deserve everything that’s about to happen to them. 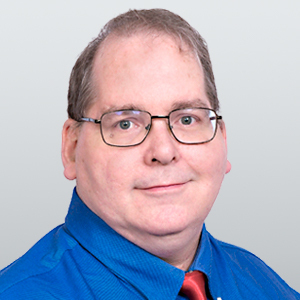 Brian Cates is a political pundit and writer based in southern Texas and the author of “Nobody Asked For My Opinion … But Here It Is Anyway!” He can be reached on Twitter at @drawandstrike.